I don't think that I'm alone when I say that having flawless skin is just about what every girl wants. Well, it's definitely at the top of my list. I've struggled with acne since my pre-teen years, and even now as an adult it's still an ongoing battle to try and maintain clear, healthy skin. Since my skin type is oily and sensitive, I'm more prone to breakouts which also means that I have to be not only consistent in my skincare regimen but also conscious of the type of products that I use. 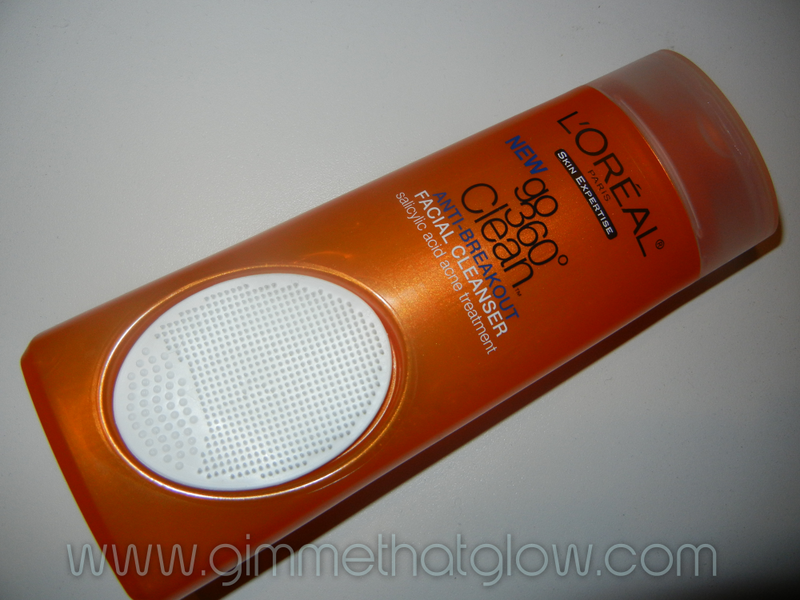 Allow me to introduce you to L’Oreal Paris’ NEW Anti-Breakout Cleanser. Which is L’Oreal’s most powerful acne-fighting formula with the super soft Scrublet™ to control breakouts and clear blackheads. I was super excited to give it a try especially since it's specifically formulated to control breakouts which is one of my biggest skin issues! Right off, the initial thing that grabbed my attention is the scrublet that's uniquely attached to the bottle. It's completely removable, it pops out and right back in with ease. The process is really simple. 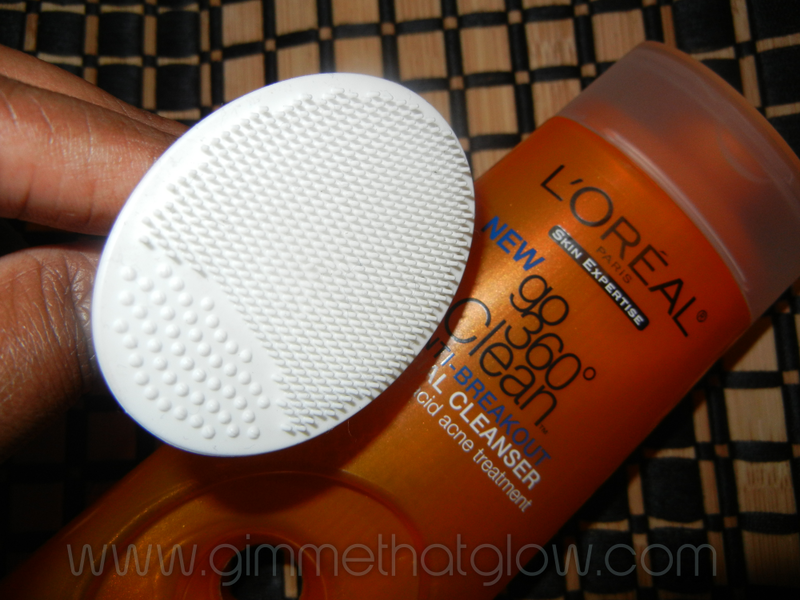 All you do is pop out the scrublet, dampen the surface & apply the cleanser on it then finally scrub your face with it. I love that the scrublet is incredibly soft and it's extremely flexible which allows you to contour it across and around your entire face with ease. So far, my experience with the cleanser has been great! It doesn't irritate my skin and has a pleasant scent that I like. I've also noticed that my pores are starting to look a lot better than before and my skin feels super smooth and soft after each use. I'm definitely looking forward in continuing to experience the maximized benefits in which this cleanser has to offer. There's nothing like having clear, breakout-free and radiant skin! NEW L’Oreal Go 360 Clean Anti-Breakout Cleanser removes acne causing bacteria in just one wash pore-by-pore! Pores look smaller and skin is cleaner, smoother and softer. It is also the winner of the 2011 Self Magazine Healthy Beauty Award for Best Acne Cleanser! Go 360 Clean is a line of deep pore-by-pore cleansers. There are five different formulas from which to choose. Every Go 360 Clean cleanser is designed with the innovative super soft Scrublet™ to help you reach deep into every last pore for the cleanest clean. Disclosure: Compensation was provided by L'Oreal Paris via Glam Media. The opinions expressed herein are those of the author and are not indicative of the opinions or positions of L'Oreal Paris. I always stop and look at these in the drug store, but I wondered about the scrublet being too harsh. Thanks for your review, I'll be checking it out after I finish my current cleanser.